Human trafficking transcends demographic categories. Its victims and survivors span the spectrum of race, class, and geography. However, some populations are at greater risk for trafficking than others, and runaway and homeless youth (RHY) are certainly among the most vulnerable. Few recent public health crises have had the widespread impact of the ongoing opioid epidemic. 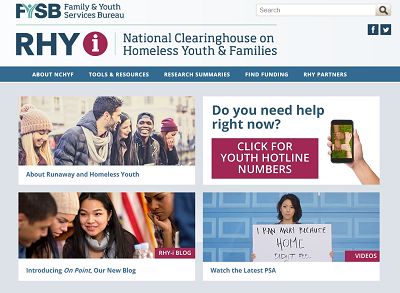 Read more about RHY Clearinghouse Launches New Website, Blog!